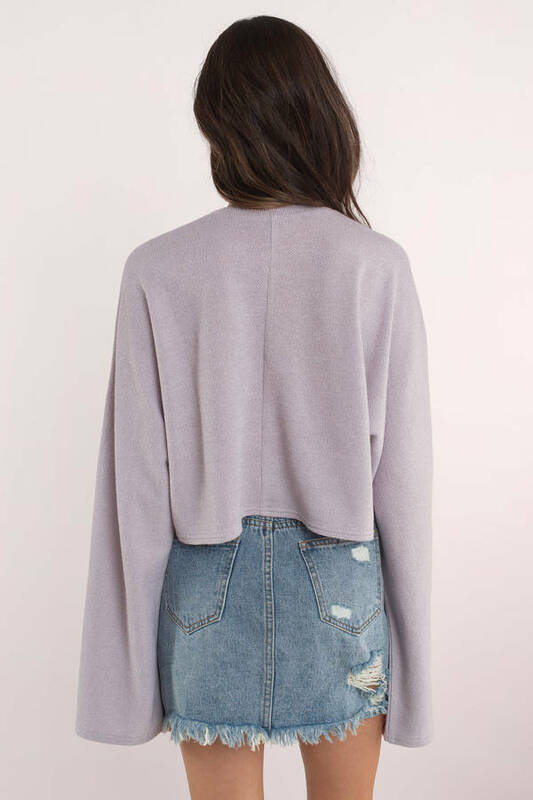 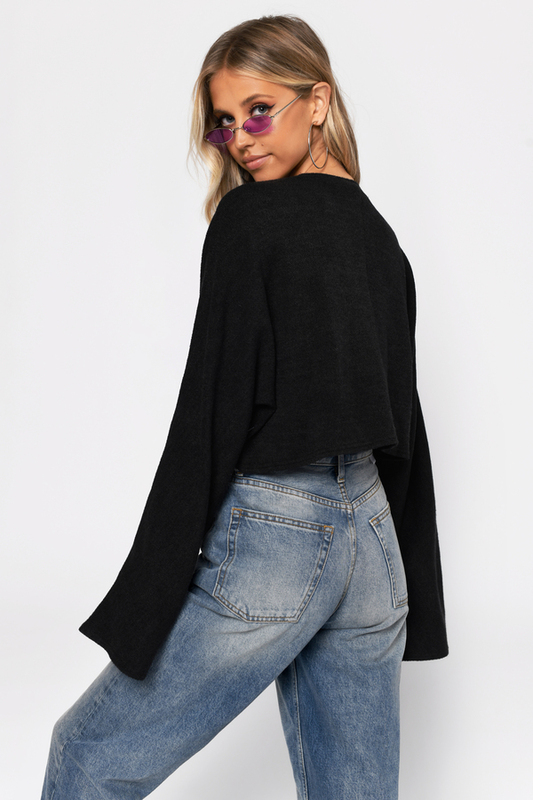 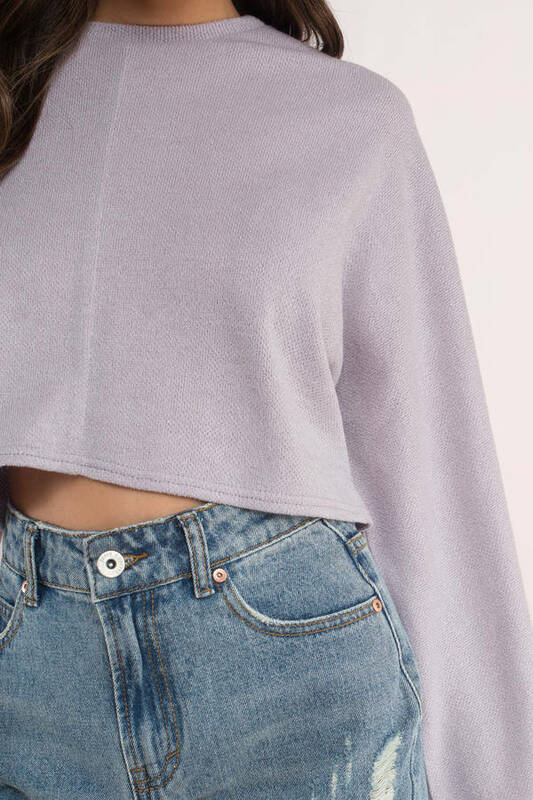 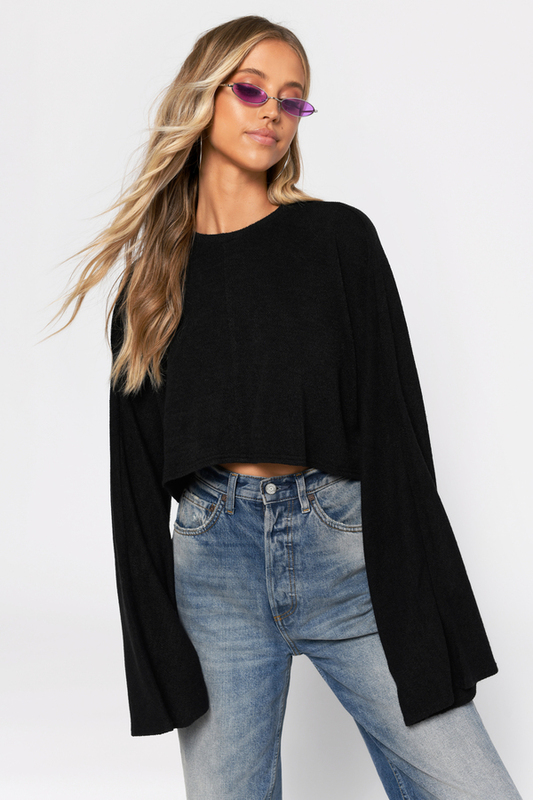 Check out Tobi's Hang Loose Bell Sleeve Crop Top Just hangin'? 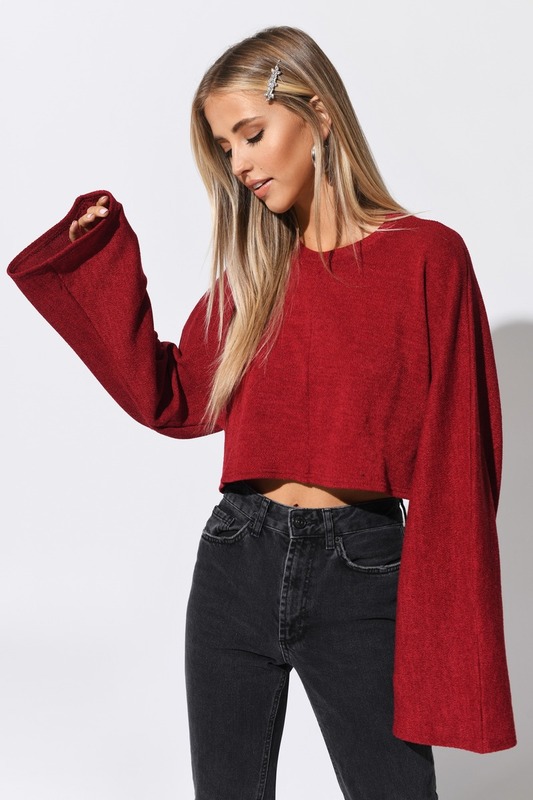 Don't drop your standards: the Red Hang Loose Bell Sleeve Crop Top mixes soft knit comfort with all the style details you need. 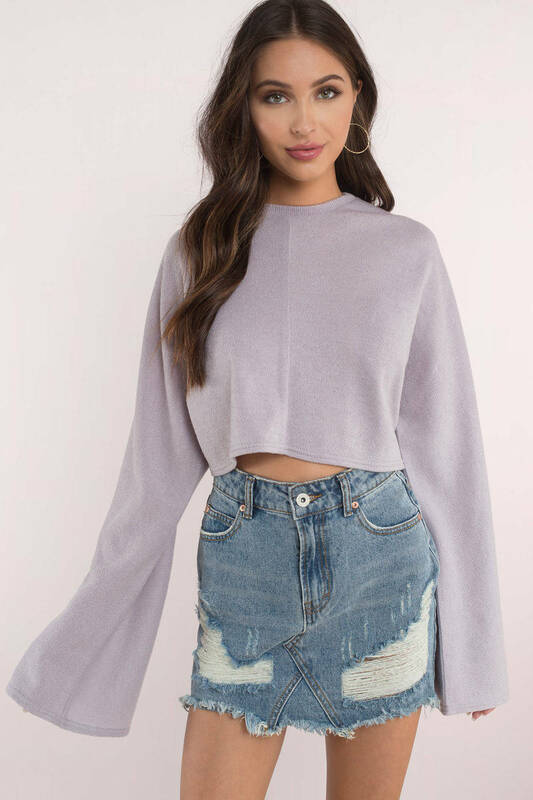 The crop top has long flared sleeves, with a center front seam to add some attitude. 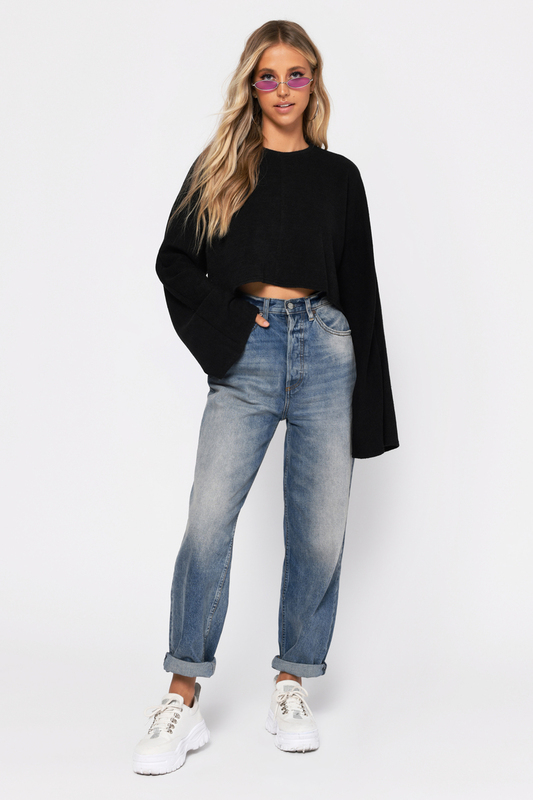 We love this flared sleeve top with camo.